Already benefiting several hundred thousand fishermen with daily predictions about potential fishing zones along the Indian coast that can lead to a good yield, the Indian National Centre for Ocean Information Services is now ready to roll out species-specific advisories for fish like tuna, hilsa and sardine. India has a vast coastline of over 7,500 km and an estimated seven million people living along the coast depend on fishing for their livelihood. 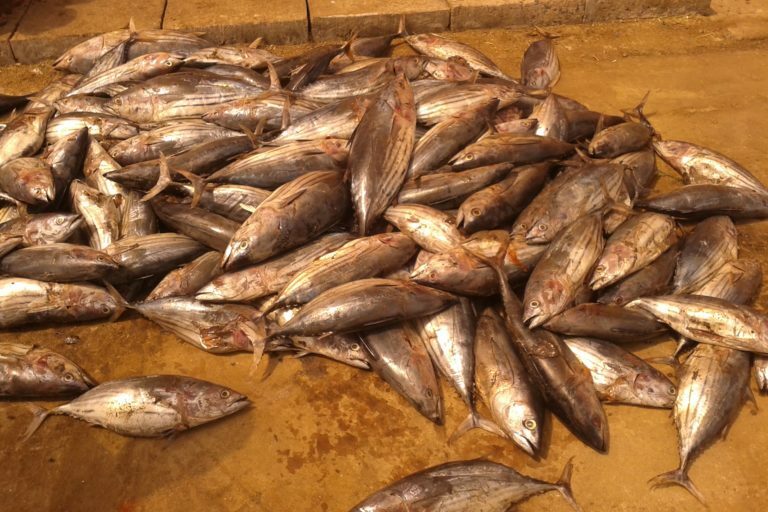 With depleting fish stock over the years, it is a challenging task in some areas where the search for fish often involves a high investment of time and resources, with low profitability in return. 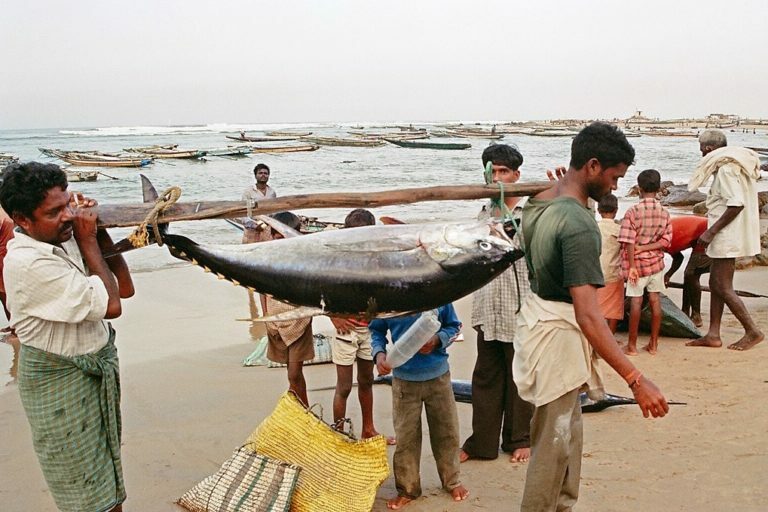 To help the fishermen use their time and resources efficiently, the Indian National Centre for Ocean Information Services, an institute under the Ministry of Earth Sciences that is working on ocean research, started giving advisories to fishermen, suggesting potential zones of fish aggregation along the coast. The Potential Fishing Zone advisory provides information on regions with fish availability as a map (including latitude and longitude) and in text form on a daily basis with specific references to 586 fish landing centres along the Indian coast. The information is available in 10 languages, including Hindi and English. As per the centre, the Indian coast is divided into 14 sectors – Gujarat, Maharashtra, Goa, Karnataka, Kerala, South Tamil Nadu, North Tamil Nadu, South Andhra Pradesh, North Andhra Pradesh, Odisha, West Bengal, Lakshadweep Islands, Andaman Islands and Nicobar Islands – and advisories are generated for each sector. Though it was started in 2004, the system of issuing fishing zone advisories has picked up pace in recent years. The advisories are generated by using satellite measurements of the sea surface temperature and chlorophyll, and include details like the depth at which the catch would be possible. The advisories are shared through various media such as telephone, fax, e-mail, website, Doordarshan channel on television, radio, news media, mobile phones and LED boards at major fishing harbours. Along with the advisories, fishermen are also informed about the expected behaviour of the sea at that location (or on the route) on that particular day or for the next few days. Since the Potential Fishing Zones can shift from the marked location, the advisories include wind speed and directional information to help fishermen even when they reach the location after a day. Additionally, for over two years now, the institute has been giving specific advisories for tuna, which is in high demand. The advisory for tuna is significant as it helps fishermen target this commercially important species. With a favourable response to the tuna advisories, the Indian National Centre for Ocean Information Services has now decided to roll out similar advisories for other species like hilsa and sardines. “Fishermen are the backbone of the coastal economy and such service helps them save resources and time. We have got a very good response from fishermen too as they don’t need to wander around and waste time at seas for days,” emphasised Nair. The Indian National Centre for Ocean Information Services’ advisory service received high praise from Vice-President M Venkaiah Naidu who, in July, said the advisories have now become part of the value chain of the fishing community. The vice-president also said the centre’s efforts to fine-tune the accuracy of the advisories would further help out fishermen in their fishing activities. 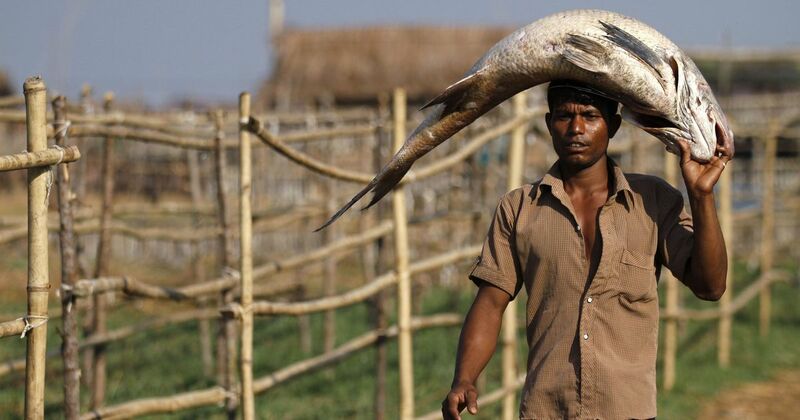 In August 2017, the Ministry of Earth Sciences had told Parliament that fishermen in the country made an annual profit of Rs 30 billion (Rs 3,000 crore) from these advisories. According to the Indian National Centre for Ocean Information Services, feedback from fishermen indicated that catch in Potential Fishing Zones is substantially higher when compared to other areas. The advisories were also found to be more beneficial to artisanal, motorised and small mechanised sector fishermen. The institute’s effort now is to make its services available to more fishermen. Thus, it is reaching out to state fisheries departments to obtain the mobile numbers of all fishermen for targeted messaging. It has also learnt from years of experience and is fine-tuning its outreach strategy. For instance, studies indicate that fishermen prefer to receive the advisory as mobile-based voice messages and text messages rather than from other sources and some of them even want training to be able to understand the advisories. 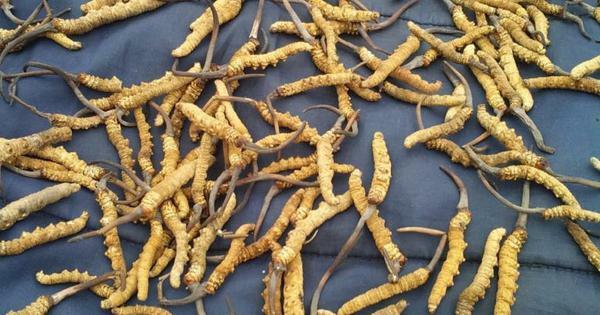 But what of traditional knowledge? One concern has been that many a time, the Potential Fishing Zones are away from the traditional fishing grounds of fishermen.